Founded in 1979, Seagate is a world leader in hard disk drives and storage solutions. Portable External Hard Drives: Seagate® portable external hard drives deliver sleek and reliable storage you can easily take on the go - from basic add-on storage to high performance, highly upgradeable designs for your PC or your Mac. Desktop External Hard Drives: Whether you need an upgradeable high-capacity drive or basic add-on storage, Seagate offers a reliable desktop external hard drive that can help you do more. Network Attached Storage: Seagate innovates complete network attached storage (NAS) solutions by bundling high-performance hardware with easy-to-use software and services. 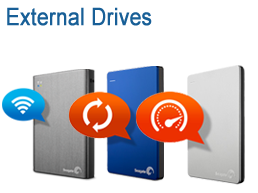 Laptop Hard Drives: Seagate® laptop hard drives deliver industry-leading innovation for every mobile market need, offering superior performance, reliability and value. Desktop Hard Drives: Seagate® desktop hard drives deliver optimal performance for every desktop computing need - from entry-level workstations to high-performance gaming systems. These desktop drives offer innovative technologies, super-sized capacities, low power consumption and blazing fast performance. Solid State & Hybrid Drives: Seagate leads the industry in developing solid state and hybrid storage technologies for extreme performance, reliability and endurance. Enterprise Drives: With more than 30 years of experience in the enterprise storage market, Seagate consistently designs, builds and supports the industry’s highest quality enterprise drives. Video Storage: Seagate® video storage solutions drive innovation for applications like DVRs, media centers and surveillance systems. 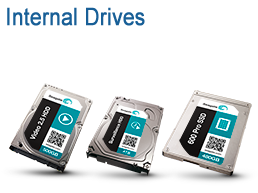 NAS Hard Drives: Seagate® NAS drives are built on a foundation of innovation, quality and value. Seagate consistently designs, builds and supports the industry’s highest quality hard drives - from small home NAS to large enterprise server and RAID arrays. The Seagate NAS HDD comes with NASWorks to improve drive reliability and performance. 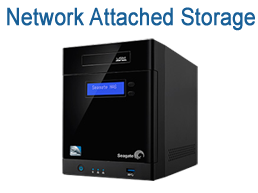 Seagate NAS drives work with NAS Systems for home or business applications. Did You Know showcases the complexity of Seagate hard drive technology? Protect your business-critical data and centralize your files in a single location you can access from anywhere. Our specialists are expert in designing systems that leverage Seagate products, and can help you create a plan for sourcing and deploying your solution. Optrics offers personalized training & installation to help you integrate your Seagate solution smoothly into your network infrastructure.